as living stones because of their resemblance to small stones. This resemblance to stones is a clever camouflage technique to prevent them being eaten in their native southern African dry, gravelly, rocky plains. Because of their native habitat they need very different care to most succulents. Lithops make delightful little houseplants though and once their watering is taken care of they are a very easy care plant. Lithops need a lot of sun to keep them compact and show their colours to the full. In Ireland this means a South facing windowsill would be ideal but if you live somewhere closer to the equator with stronger afternoon sun morning sun and filtered light throughout the afternoon would be best. 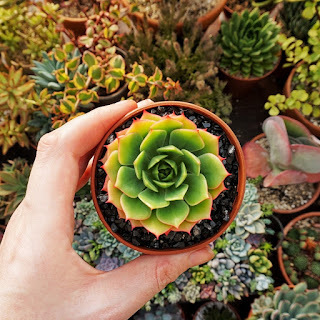 As with all succulents when you first buy them make sure to slowly acclimatise them to brighter afternoon sun to prevent burning. When picking what to plant your lithops in you should take into account their natural habitat. A soil-less compost mixed with about 40% gritty sand is good mix. This is low in organic matter and has good drainage with is a good replication of their native southern African habitat. Watering lithops is where most people fall down when it comes to their care. 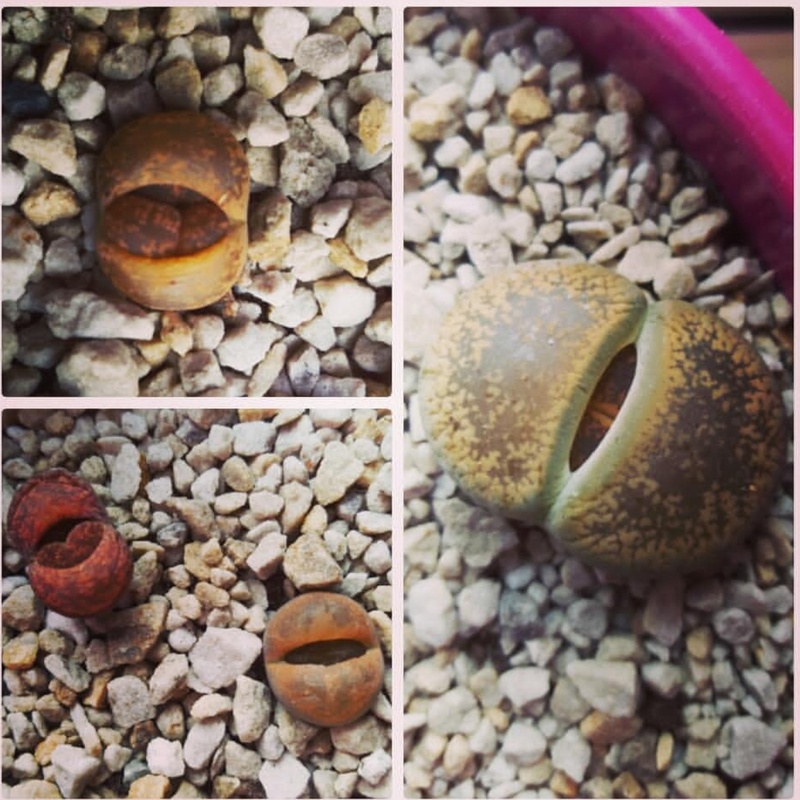 To understand lithops watering care you also have to understand their growth cycle. In winter lithops are dormant, during this time new leaves push their way up through the old ones. The old leaves, over a period of months will eventually shrivel until they are paper thin and crispy. During this time it is very important not to water at all. Once the old leaves are shrivelled, usually around early Summer you can water deeply about once every two weeks. It is best to water at early morning time to give the topsoil some time to dry off during the day. Stop watering again in late Autumn/early Winter until their shedding cycle completes again. 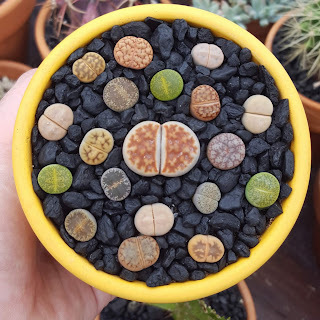 I hope this has help to demystify lithops a little for you. They are such an unusual plant and make a lovely addition to any plant lovers home. 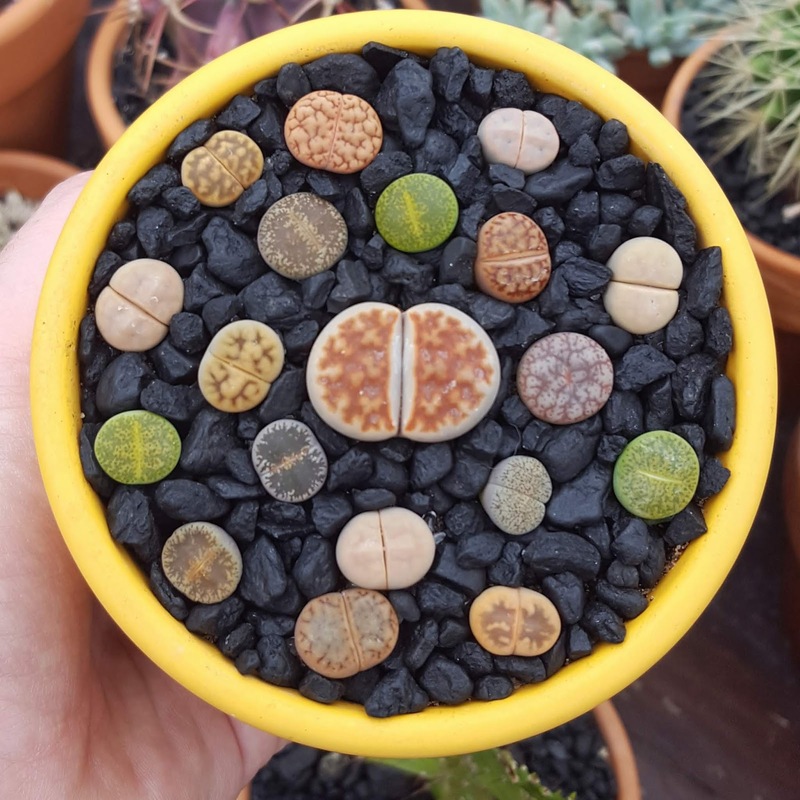 If you live in the EU and are looking for a lithop collection of your own the lithops in this post come from Sunnyplants.